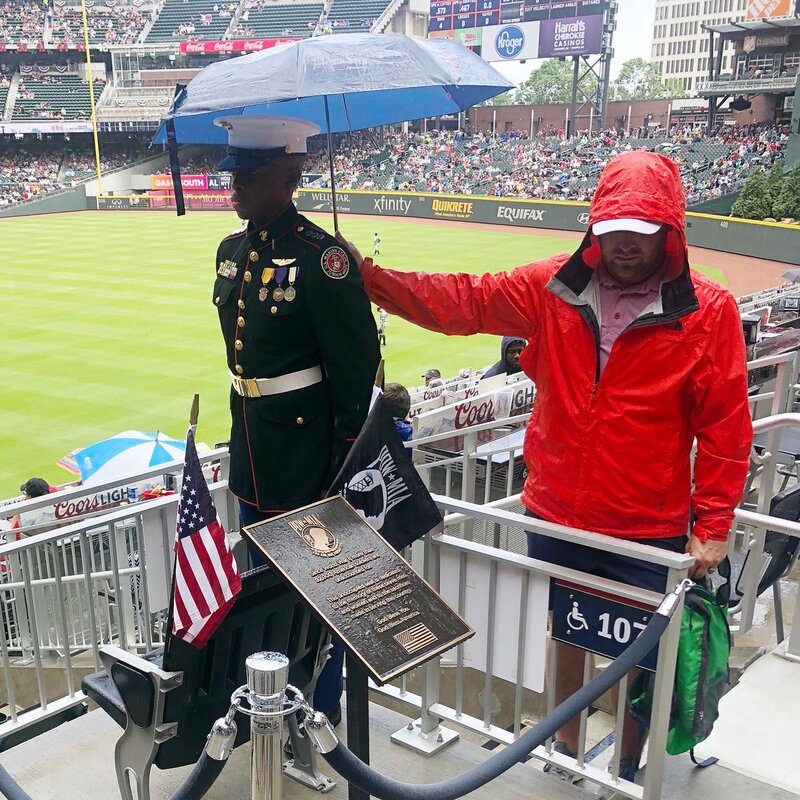 The Atlanta Braves posted a picture on their Twitter account on Memorial Day, showing an Atlanta fan holding an umbrella over a JROTC (Junior Reserve Officers’ Training Corps) cadet during a Memorial Day ceremony at Suntrust Park. According to station WSB-TV in Atlanta, “The image was taken during the recognition of the POW-MIA Chair of Honor in the third inning at Suntrust Park. The chair sits empty to help people remember that even though our soldiers who were prisoners of war or declared missing in action are not here, there is still a space for them.